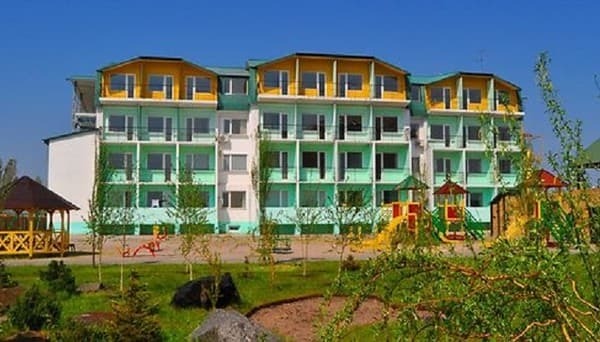 Holiday Village "Paradise" is located in the center of the resort zone of Koblevo, in a quiet location, in a large well-groomed area, 5 minutes walk from the sea. The recreation complex consists of three modern buildings. 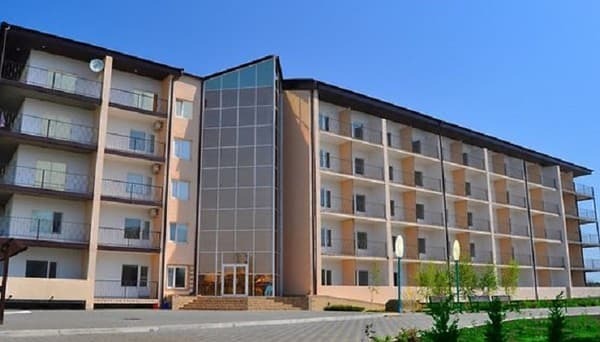 To the services of tourists 200 rooms, equipped with comfortable furniture, balcony, TV, shower. Hot and cold water is supplied around the clock. 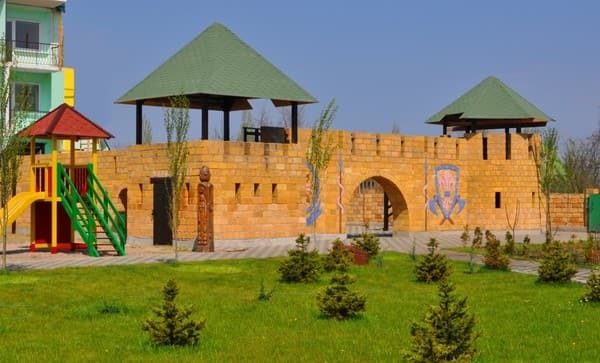 On the territory of the recreation center "Paradise" there are equipped pavilions with barbecue, children's playground, sports grounds (mini-football, tennis, basketball, simulators), a conference hall for 150 seats, a stage for concerts. A tasty meal is available in the dining room with an air-conditioned room or a café-bar with a terrace. Distance to Odessa - 56 km, Mykolaiv - 74 km. Description of the room: One-room number is 17-18 sq.m. In the room: two single beds, necessary furniture. Description of the room: One-room number is 17-18 sq.m. The room is equipped with a double and single bed, necessary furniture. 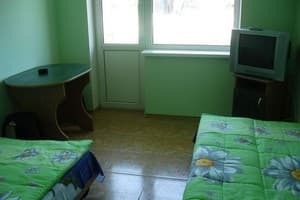 Description of the room: In the room: necessary furniture, double bed, sofa bed. Комната соответствует заявленному, недалеко от моря. Заселились быстро, территория базы красивая. Отсутствие пододеяльников на одеялах, муравьи в комнате, ржавый поддон в душе, плесень. Не совсем понравилось, что уборку комнаты нужно было просить - оставлять заявку на ресепшене. По-моему очевидно, что убирать нужно ежедневно, и за 8 дней не меняли ни разу постельное белье. В целом отель понравился. Красивая территория, хороший внешний и внутренний вид отеля. Клевая дорожка к морю. Кухня на территория отеля это нечто. Непомерно дорого, и очень не вкусно. За теже деньги в кафе на берегу моря можно поесть намного вкуснее. Children under 12 years stay free of charge without extra beds. The cost of additional space is 50% of the main place. There is a cafe for 150 seats with a choice of dishes of Ukrainian and European cuisine. 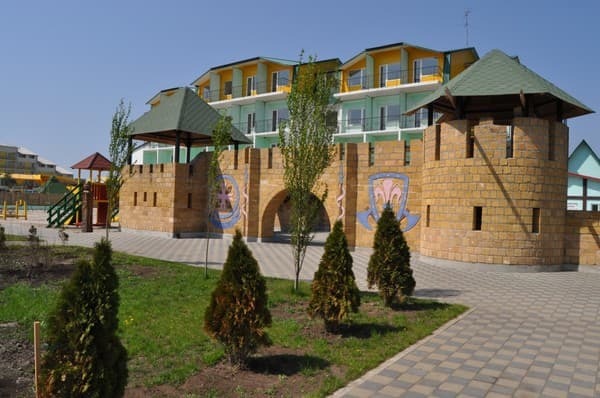 The complex is located in the center of the resort area of ​​Koblevo, 7 minutes drive from the bus station, 15 minutes from the center of the village and from the Moldovan zone. The distance to Odessa is 56 km, Mykolaiv - 74 km. From Odessa or Nikolaev to the village. Koblevo (resort area) can be reached by shuttle bus. A transfer from Odessa or Nikolaev is available for an additional fee.